How tough is your two-way radio? Can it stand up to dirt, dust, water, and impact damage? 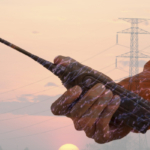 Depending on your job site, the durability of a two-way radio may or may not be of significant importance. Still, accidents happen and it’s always nice to have a strong radio you can rely on, no matter what life throws your way. While most cell phones break easily, with only one good drop on the ground or in water, two-way radios are built with far more attention to detail in regards to durability. Still, some two-way radios offer many awesome features but lack the sturdiness required around certain job sites. 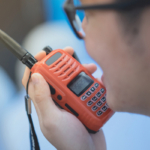 Two-way radios are used to prevent calamities, and are often needed most during times of emergency. A radio that is not durable and built to stand up to these challenges just might let you down when you need it most. Don’t end up with a two-way radio that breaks and lets you down. Learn what makes the most durable two-way radios on the market today, as well as some super strong options worth checking out. 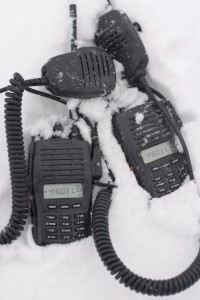 Is Your Two-Way Radio Tough Enough? Two-way radios come with a variety of options and upgrades, and some are built tougher than others. If you work in an indoor environment where exposure to dust, water and impact are limited, durability is not nearly as important. On the other hand, if you work in construction, or other industries where elemental exposures can be harsh, a durable radio is of utmost importance. –Waterproof. Some two-way radios come with water resistant technology. If water is a common factor around a job site you don’t want to risk a walk-talkie ending up soaked and unusable. With a waterproof two-way radio you can avoid this issue altogether. –Dust resistant. Many job sites come with a fair share of dust and debris, and some include far more than others. Try as hard as you will to keep a radio free of dirt, but within due time the dirt will find a way in those cracks. If dusty conditions are a part of your industry, you need a two-way radio that isn’t going to tear up due to exposure to dust. -Long Lasting Battery. When you think of durable you might not think of battery life, but if a two-way radio can’t hold a charge for a good amount of time it doesn’t matter how durable it is, it will eventually let you down. -Impact resistant. A two-way radio that breaks the first time it is dropped is not going to do you any good at all. While out working on a job site it’s way too easy to become distracted and drop your radio. A durable model should be able to withstand a number of nicks and dings without breaking down. The TK-2400 is a simple but powerful radio built with a tough outer shell made to withstand some of the toughest work environments. The NX-300 is one of Kenwood’s fancier two-way radios, offering everything from superb sound quality to a large color screen. This radio is also considered one of the most durable options on the market. It is waterproof and resistant to dust and debris, making it the perfect choice for marine and construction related industries. 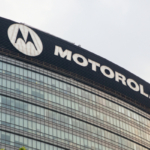 The XPR-7550 includes the latest and greatest features offered by Motorola, including reliable durability. This walkie-talkie is made to operate something like a smartphone, with a color screen and added perks like Bluetooth and GPS tracking. You will also enjoy added battery life thanks to the technology of IMPRES. This radio might seem fancy with data integration and a lovely outer appearance, but go ahead and drop this beauty a few times, no need to worry considering the tough design is meant to withstand plenty of wear and tear. This model is also waterproof, making it excellent for any sites where water damage is a possibility. You won’t have to worry about dust interfering with this device either, meaning the XPR-7550 is virtually perfect for every environment. Highland Wireless is a leading authorized dealer of Kenwood and Motorola two-way radios. 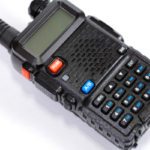 Contact us today to learn more about your options regarding the most durable radios on the market.